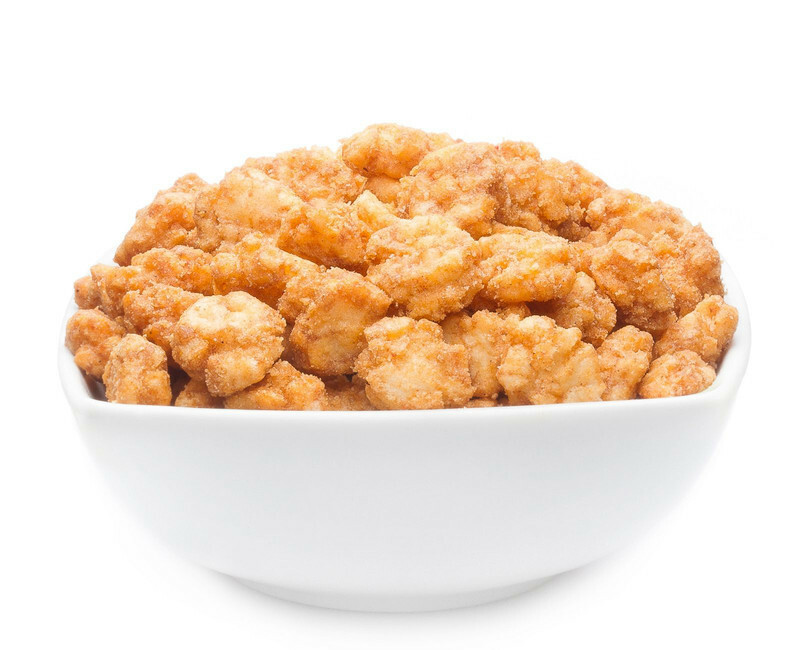 Rice, palm oil, sugar, BBQ seasoning, salt, yeast extract, maltodextrin, vinegar powder, tomato powder, onion powder, malt extract, garlic powder, dextrose, anti caking agent: E341ii, E551, food acid :E296, flavour, pepper powder, tapioca starch, SOY sauce, water, SOY, WHEAT, maltodextrin, yeast extract, colour E150a. Where is the ketchup?? BBQ rice crackers! With these rice crackers you bring home the barbecue at any time! Close your eyes and try one of these crackers, and you will literally see all sorts of grilled goodies in front of you. You don't believe it? Try it yourself, we are already hooked! Not suitable for pussyfeet: these crackers rock! If you believe that rice crackers are only for constantly bodyhugging squares, you never tried our BBQ rice crackers. The cover with the taste of garlic, BBQ condiment and tomato leaves nothing to wish for. Except maybe the wish for enough fresh supplies! Bring home the good mood! Most people we know look forward to a homelike barbecue with friends. That's why we were instantly convinced by these crackers, because with them you bring home that joy - put them on your salad, nibble on them with friends or all by yourself. You have the choice!